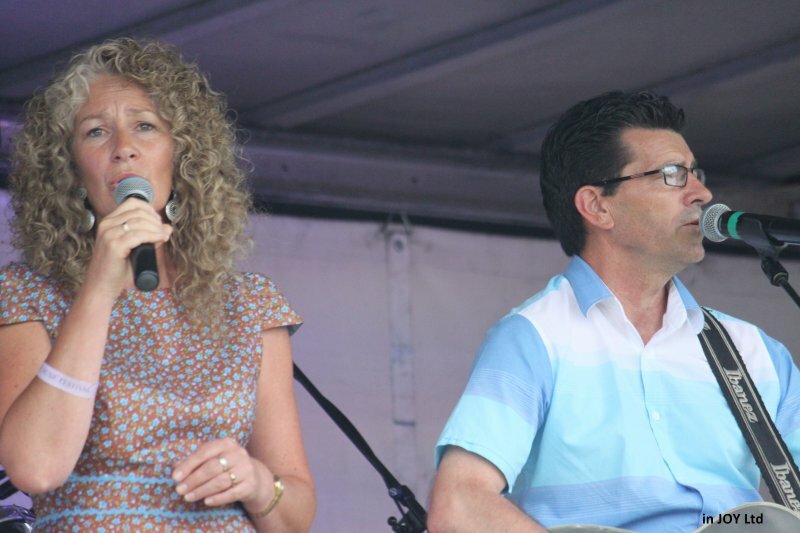 On the 14th of June we travelled to Te Awamutu to perform on Val and ray Thurgoods 100th charity concert. These awesome people deserve a medal for the years of dedication and hard work they have given to raising money for numerous charities and of course to NZ country music. This year the concert was in support of prostate cancer and with around 600 people turning out on the night Val and Ray and their wonderful team of helpers raised $7000-00. Well done everyone. 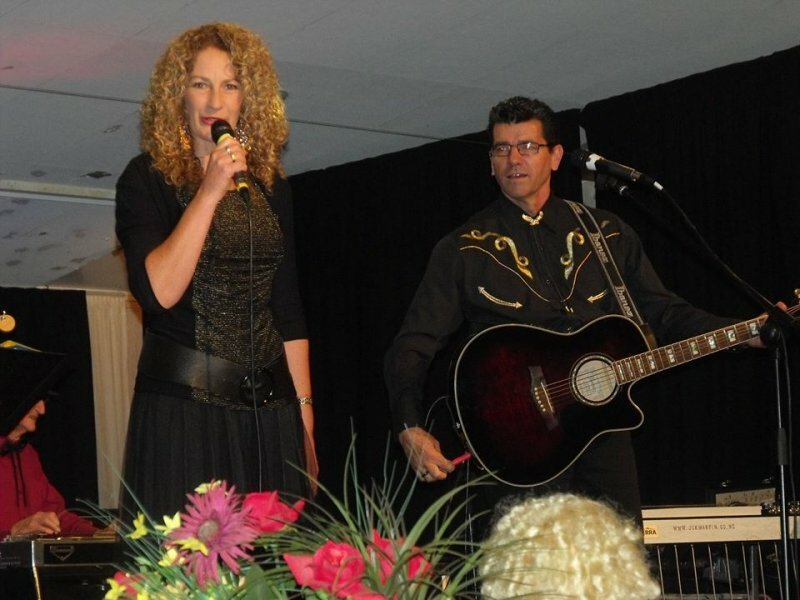 The show was headlined by Dennis August with support from an aray of artists which included Kitten, Joy Adams, Carleen Still, Nancy Muller, Jocelyn Kilpatrick, Murray McPherson, Lew Jones, Rien Vanderschantz, westie, Steve Burns and of course Annette and Kim. 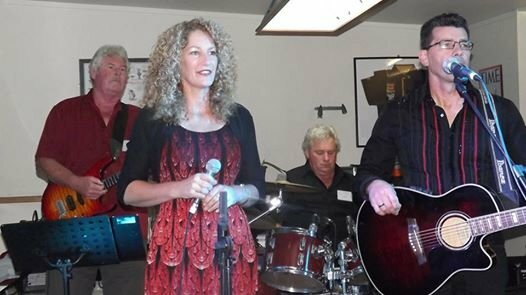 We must also thank the backing band for their excellent work on the night John – Lead guitar, Margaret – rhythm, Alan – Drums, Kevin – Bass, Harold – Pedal Steel and making a special appearance Internationally renouned Pedal steel player Joe Martin. Also a big thank you to Warwick on sound and video. The Bible Chapel is such a great venue and even though this was Val and Ray’s last concert we hope that we will be able to perform there again in the future. I am sure that I speak for all the artists that have been involved with Val and ray over the years in saying that we have appreciated their support and the professionalism in which they run their shows and the way in which they look after the artists. Thank you. I know that they get a lot of support from the local businesses which is also appreciated . 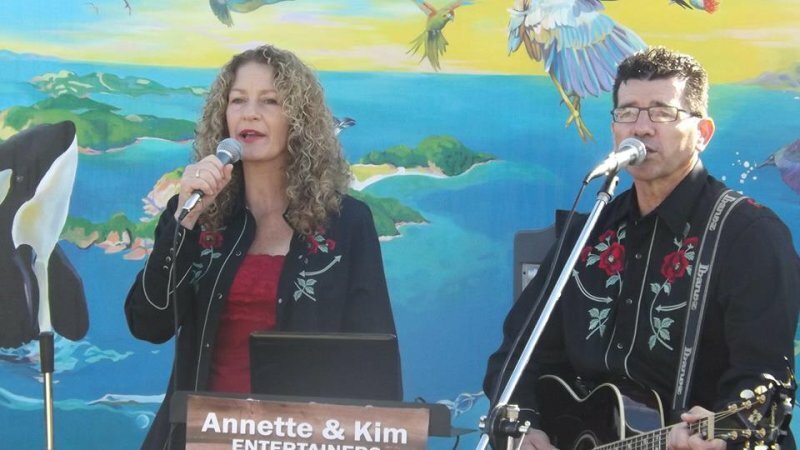 Annette & Kim Live in Concert 2014 at the Wanganui War Memorial Centre on the 14th of January on their way to the Marton Country Music Festival. Was a beautiful venue to perform in and the small crowd that gathered to support the evening had a wonderful time, not wanting to leave. Special thanks go to Ken & Sue Carrick and their support team or great organization of this event we look forward to doing it again in the future. Thanks to all who came and supported us it is very much appreciated. The Bay of Islands Country Rock Festival features good music and friendship in the stunning setting of the Bay of Islands of New Zealand – one of the top tourngist spots of the country. Each year the festival features more than 50 acts from New Zealand, USA and Australia performing at multiple venues. Street music and line dancing are also popular features. 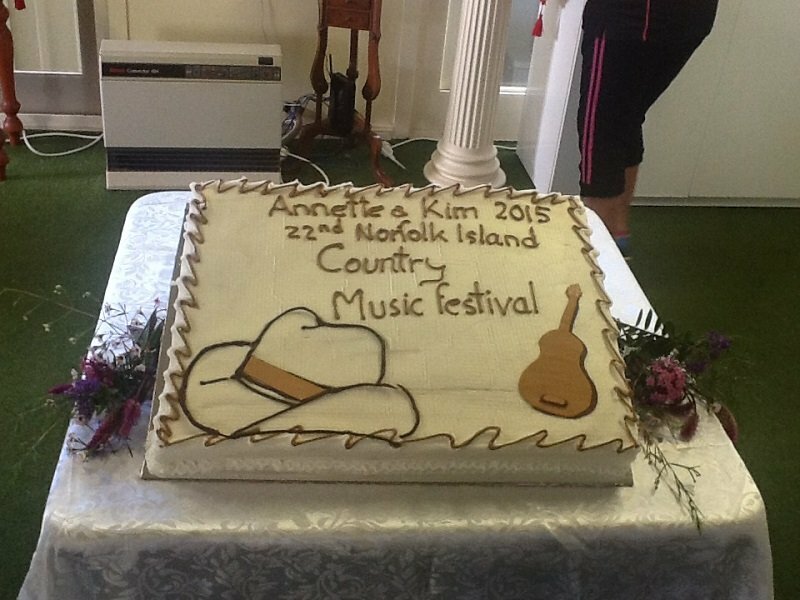 Annette & Kim appear yearly at this festival with there band “The Mountain Mist Band”. Along with other great acts form NZ and over seas. 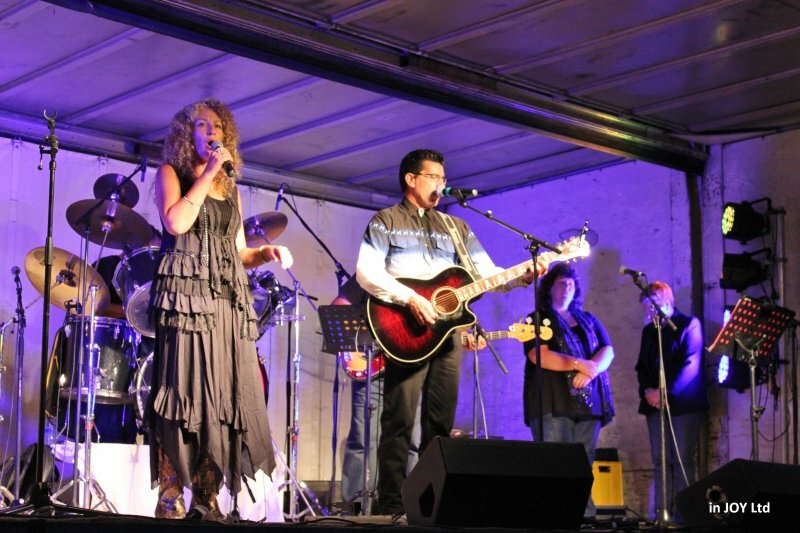 Annette & Kim in Concert with “The Mountain Mist Band” A Charity Concert in support of Saint Johns in TeAwamutu November 2014 with the support of ValRay Promotions. Great night had by all who attended. A top notch Show put on by these two outstanding entertainers both as a Duo and solo artists.